20th. century artist who was born in Buffalo, NY. He was known for landscapes, genre, and paintings of fishermen. Listed in Davenport's Art Reference. 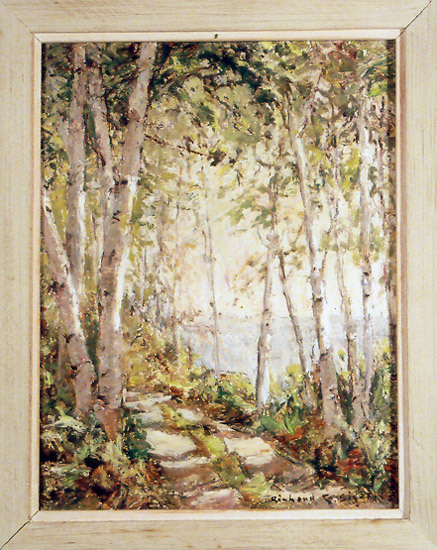 Gallery tag on back "Birchwood Trail". Size including frame: 103/4 x 13. Unframed size: 8 x 10 inches.